Monster is a frightening thriller that’ll scare you silly, but it’s not without flaws. At sixteen Nash thought that the fight to become Head Girl of a prestigious boarding school Bathory would be the biggest battle she’d face. Until her brother’s disappearance leads to Nash being trapped at the school over Christmas with Bathory’s assorted misfits. As a blizzard rages outside, strange things are afoot in the school’s hallways, and legends of the mysterious Beast of Bathory – a big cat rumoured to room the moors outside the school – run wild. Yet when the girls’ Matron goes missing it’s clear that something altogether darker is to blame – and that they’ll have to stick together if they hope to survive. 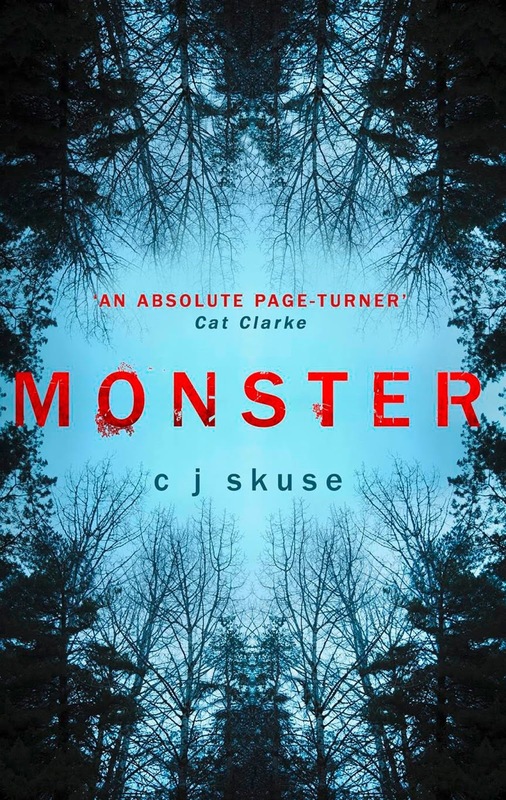 I love reading something scary from time to time, so I was looking forward to picking up C. J. Skuse’s Monster. With a boarding school setting and a frightening myth to propel the story forward, Monster will have you on the edge of your seat for the most part, but it does have its flaws. Monster does get off to a slow start, but the second half of the book with its nail-biting tension makes up for it somewhat. One big downfall of Monster is the characters, though. To start with I was excited to see an interesting mix of personalities but those personalities are a quite overshadowed by the obsession with boys (and really, really bad boys at that) and their mean spirit towards each other. Then there were the endless questions I had about why on earth they were still stuck in the school towards the end. Surely they could have figured out a way to escape it!? And finally there was the underlying story about Nash’s brother, which I assumed would lead to something quite big in the end but actually it was the author’s way of giving Nash a reason to stay in the boarding school and therefore become trapped there. Despite its flaws, I did find Monster entertaining and if thrillers are your thing it’s worth picking up, just don’t expect to be completely blown away and be prepared for some unanswered questions.